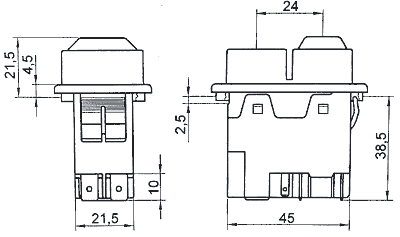 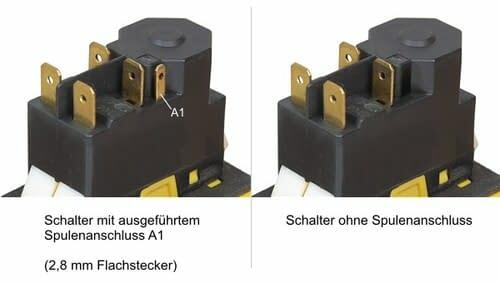 The switch has a solenoid for an undervoltage release. 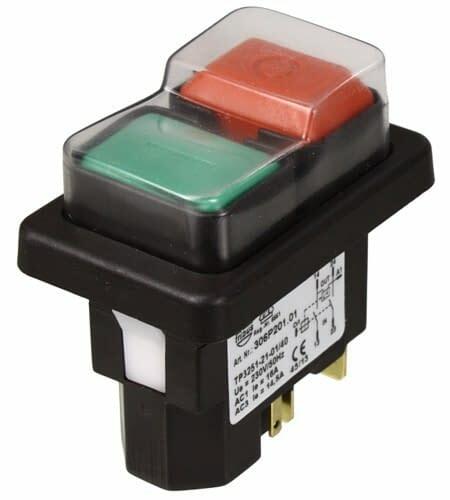 If the voltage is connected to the input connectors 13 and 23 a solenoid is powered and holds the rocker switch in the on-position. 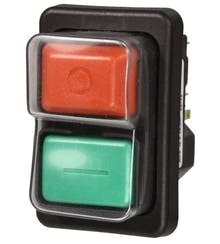 This switch is not a push button. 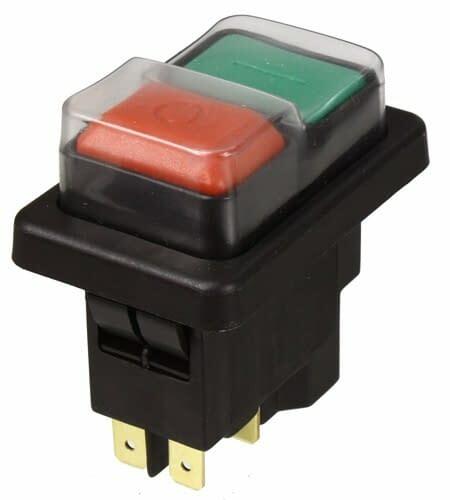 the rocker switch only stays at the on-position, as long as a voltage exists or you turn off the switch. 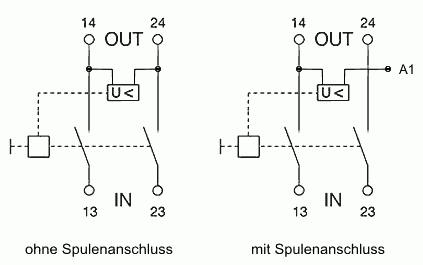 Due to the undervoltage release the switch turns off at voltage drop ( power failure ) and has to be manually switched back on. Therefore it won't switch on spontaneously and uncontrollably.